The Lhermite® EMT Serie features the state of the art in terms of postal and revenue stamp perforation. The EMT 650 and 800 machines are the ideal solution for those security printers looking for high volume production equipment and no compromise on punching accuracy. The Lhermite® EMT Serie has been developed and continuously enhanced especially for the sheet fed applications. 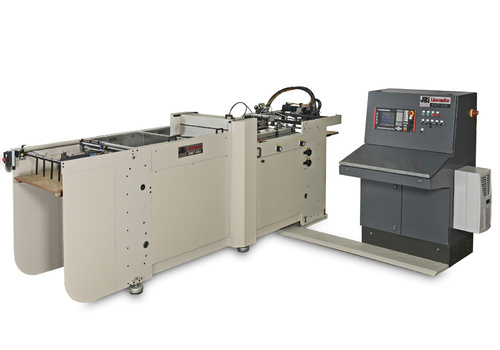 The EMT Serie features a comprehensive range of stamp perforating machines available now in two formats, 650 and 800mm. They provide unmatched flexibility, high precision punching and ease of operation whilst their output is amongst the highest in their category.